I finally signed up for this monthly subscription box that I've been thinking about doing for a year now. 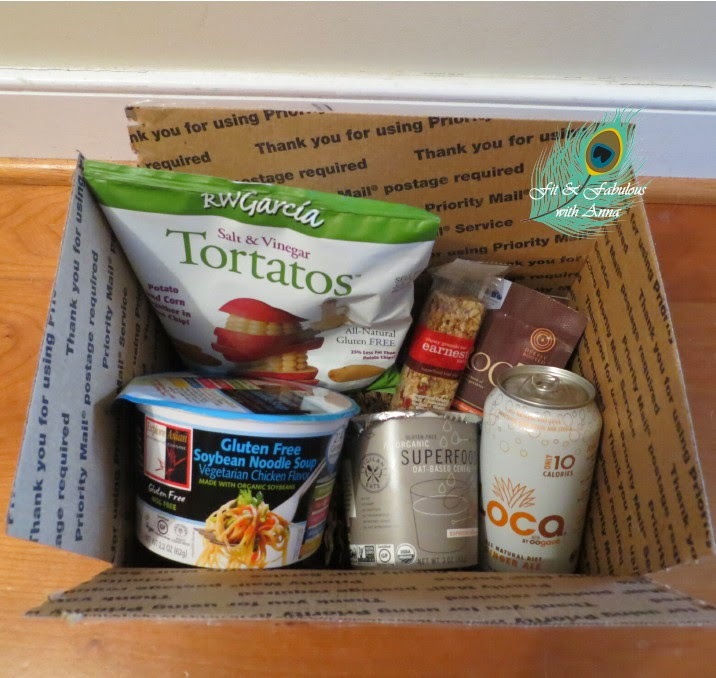 It's $20 a month incl shipping and includes a surprise mix of 7-10 vegan snacks. Being a huge foodie I figure it would be a great way to introduce me to products I might not have noticed at the store. Plus being a lifelong mail enthusiast, I love getting packages in the mail! Especially one full of good stuff to eat! As a kid I had international pen pals I would write, then I got into the Victoria Secret catalog and would spend my entire summer teenage paycheck on clothes and swimsuits (because you can never have enough). Now a days I seem to only get junk in the mail, I don't even look at the catalogs anymore. But I seem to get a package weekly! lol And the occasional mailed birthday cards. Do people not buy them anymore?I see a whole aisle of them at the store, yet as I get older I seem to get less of them. But I save all my cards. R.W. 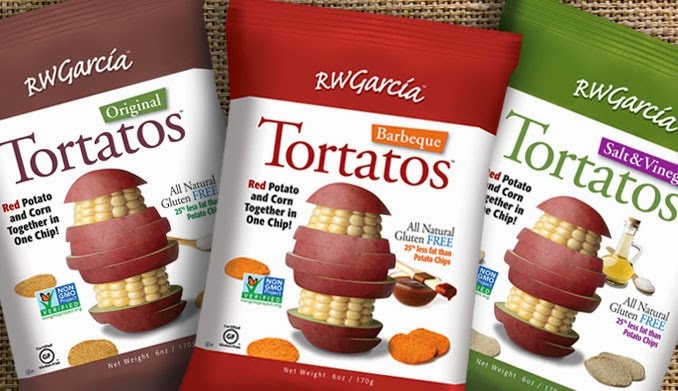 Garcia Tortatos in Salt and Vinegar flavor which taste like tortilla chips with a hint of potato, yet 25% less fat than regular potato chips. The bag explained that using vinegar tricks your body that it doesn't need salt. I've always hated the taste of salt and vinegar potato chips with a passion but these were really good because the vinegar flavor was mild. 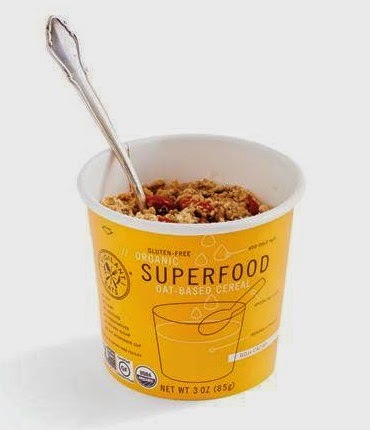 Vigilante Eats Superfood Oat-based cereal which is oatmeal plus superfoods in an easy travel to go cup that you just add hot water or milk to. It has hemp milk powder inside so it becomes quite thick and flavorful. Mine came with the Espresso Maca Mulberry flavor and even though I don't like the taste of coffee, I still could tell this was an amazing and innovative product. My Whole Foods only carries one flavor by them but I saw on Vigilante Eats facebook page that they have frequent sales for ordering online. I passed by this product all the time on the top shelf at Whole Foods but never noticed it. I will definitely be stocking up to take this on my next vacation or when I need to eat breakfast on the go. One cup has 8 grams of protein and 8 grams of fiber and it's full of superfoods! 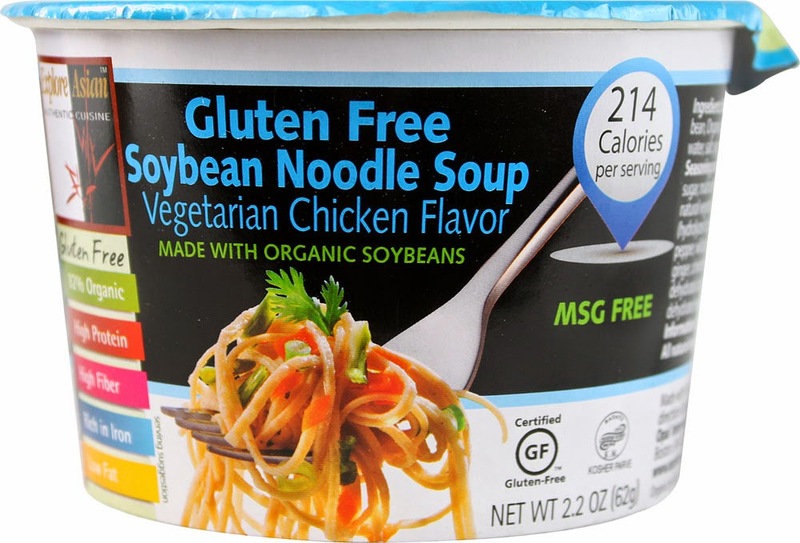 Explore Asian Soybean Noodle Soup - Chicken Flavor. So I don't know why they needed to name it "chicken flavor" tasted just like regular ramen (well from what I remember the last time I ate it was I guess high school?) but I was impressed that one cup has 22g of protein. However it was literally just noodles, a few tiny carrots and that's it and a bit difficult to chew.